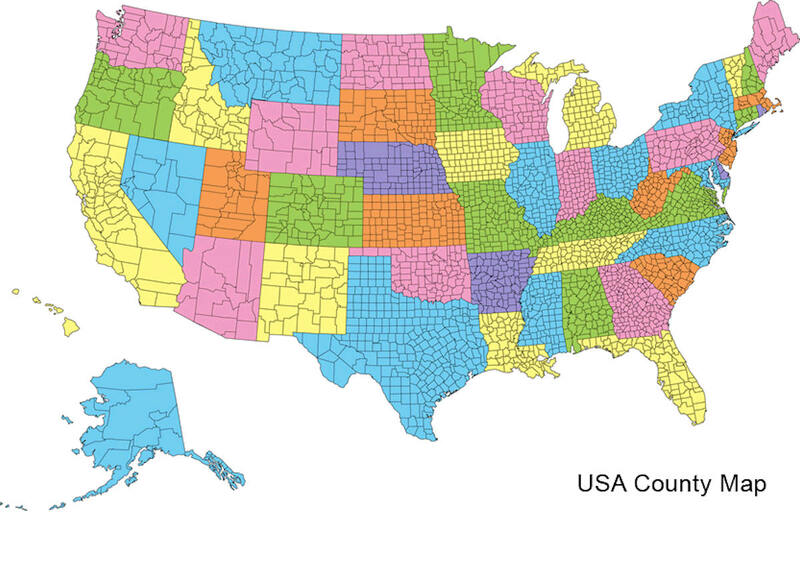 There are sixteen Counties in Maine. Prior to statehood. The first county to be created was York County, created as York County, Massachusetts by the government of the Massachusetts Bay Colony in 1652. 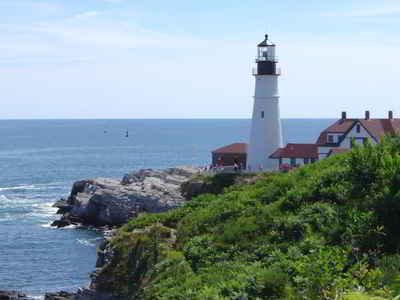 Maine was granted statehood on March 15, 1820 as part of the Missouri Compromise. Nine of the sixteen Counties had their borders defined while Maine was still part of Massachusetts, and hence are older than the state itself. Even after 1820, the exact location of the northern border of Maine was disputed with Britain, until the question was settled and the northern counties took their final, official form by treaty in 1845. Sagadahoc County is a county located in the state of Maine. Based on the 2010 census, the population was 35,293. Its county seat is Bath. 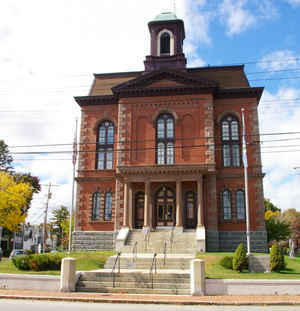 In geographic area, it is the smallest county in Maine. 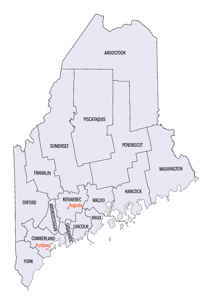 Sagadahoc County is part of the Portland-South Portland, ME Metropolitan Statistical Area. Sagadahoc is named for a Native American word meaning mouth of big river. Sagadahoc County is situated upon the lower portions of the Kennebec and Androscoggin Rivers. Within it are contained Merrymeeting Bay, where the two rivers join; Sagadahoc River, which they form; and Sasanoa, an arm of the Sagadahoc. Generally, however, the name Kennebec is applied to this stream quite to the sea, thus making the Androscoggin its tributary. This county contains ten towns and one city, as follows: city of Bath, towns of Arrowsic, Bowdoin, Bowdoinhani, Georgetown, Perkins, Phi pshurg, Richmond, Topsham, West Bath and Woolwich. The length of the county north and south is 33 miles, and its breadth, from 6 to 17 miles. It has an area of about 300 square miles, including water surface, which is about 45 square miles. The county is chiefly remarkable topographically for the number of its streams, bays and coves, and its numerous tide-powers. The surface of the county, though considerably broken, has no high hills, and the general altitude is such that the fresh-water streams and salt inlets are not productive of deep ravines. In the south-eastern portion of the county especially, the bed rock is imperfectly covered with soil, and consequently, it shows many ledges. Three of its towns, Arrowsic, Perkins and Georgetown, are islands, and three, Phipsburg, Bath and West Bath are nearly so. The business is agriculture, ice-storage, lumber manufacture, ship-building, navigation, commerce and the fisheries. Steamboat communication with Portland and Boston is had through the whole length of the county, while during the hot months steamers run across the country from the Kennebec towns to Boothbay beyond the Sheepscot River. The Maine Central Railroad traverses the western part north and south along the course of the Kennebec, and connects with the Knot and Lincoln Railroad, which connects Bath with Rockland on the Penobscot. Sagadahoc County was formerly included in Yorkshire, and later, in Lincoln County; having been set off from the latter and incorpo rated in 1854. The exploring company of DeMonts, led by the intrepid Champlain made the first known visit of Europeans to Sagadahoc. Popham's colony, having erected buildings and constructed a vessel, after a few months' sojourn forsook their settlement in 1608; but voyages of the English to the vicinity for fur-trade and fishing were continned. Capt. .John Smith, of Virginia fame, explored the region in 1614 ; and on the map of the country which he displayed to King Charles, that monarch eiiterecl the name "Leethe" as a substitute for "Sagadahoc." When the Council of Plymouth was dissolved, and the territory divided, 10,000 acres somewhere on the east side of the Sagadahoc were added to each of seven of the twelve divisions, that each of the noble owners might share in the visionary metropolis of New England. The grant to Sir Ferdinatulo Gorges, in 1622, had for its eastern boundary, the Sagadahoc. From this he granted to Sir Richard Edgecomb, a tract on the north side of the Lake of New Somerset (Merrymeeting Bay) and another on the coast, probably on New Meadows Harbor. The Pilgrims of New Plymouth received their patent rights of trade on the Kennebec in 1623, which was enlarged in 1629 to a right to the soil and exclusive rights of trade within its limits. The boundaries of this grant, like those of most of the early ones, were not accurately defined; and when the patent passed from its Pilgrim ownership and became the Kennebec Purchase, its wealthy proprietors extended their claims over the territories of their neighbors beyond what generally found warrant in law, when the issues came to be tried in the courts. The indefinite boundaries, therefore, were the cause of much litigation. Rights to the soil were sought from the natives also; the first known being the Nequasset purchase, made in 1639; the islands below soon after, and within 20 years the whole of Sagadahoc County was held under titles from its Indian possessors. The grant to Purchase and Way which, together with the Pejepscot Purchase included a large part of Bowdoinham, and all of Topsham, Bath, West Bath,and Phipsburgh, was made in 1630; Purchase himself having resided near the Pejepscot (Brunswick) Falls since 1627. In 1654 New Plymouth colony instituted a form of government covering all the settlements of the Kennebec. This was succeeded by the more effective jurisdiction of Massachusetts, which continued, with a partial interruption only for a few years by the Duke of York's government, until Maine became an independent State. In 1672, upon a petition of the settlers for protection, the territory beyond the Kennebec, which had been erected into the county of Cornwall by the Kings' commissioners,- deputies of the Duke of York, was transmuted into the county of Devonshire; York being limited to the western side of the Sagadahoc. An appearance of right to exercise this jurisdiction had been secured by a new interpretation of the terms fixing the boundary of her patent by Massachusetts. The motive for this movement was found in the new claim of the French, under the treaty of Breda, to the territory as far west as the Kennebec. The first Indian war in Maine, called King Philip's war, broke out in 1675; yet the plundering of Mr. Purchas' house was the only hostile act in Sagadahoc County until August, 1676. At this date occurred the descent of the savages upon the settlements of Hammond, Clark and Lake, in which 53 persons were made captives by the Indians. The region was now almost wholly abandoned by settlers; and though various small and temporary settlements were attempted, there was no permanent occupation until 1715, when twenty families located on Arrowsic, and the Pejepscot town of Augusta was begun under Dr. Noyes in Phipsburg. Yet these were swept away; and forts and garrison houses were often the only places of safety for the inhabitants, until the fall of the French power in the North in 1759 terminated the Indian wars in Maine. From 1717 to 1720 many Scotch-Irish Presbyterians had come in; and after Governor Dummer's treaties of 1725- 7 the immigrants became numerous. During the Revolution, there was much alarm in the Sagadahoc region from British cruisers; but no considerable action occurred. Two British armed vessels which threatened Bath, were attacked on their way up the river, and turned back. In the war of 1812, the noted action between the Enterprise and Boxer occurred off its southeastern shore. In the war of the Rebellion the county furnished to the Union forces 2,488 men. Robert Gutch and Ichabod Wiswall were the first religious ministers in the county, the first coming about 1660. Steam-power was first used on the Kennebec as early as 1818, for propelling rude craft; and in 1823 steam communication was opened. between Bath and Boston. What is now the Bath branch of the Maine Central Railroad was opened to the city in 1849; and the Knox and Lincoln Railroad was opened in 1871. The first newspaper was published in the county in 1820. There are now but two. Eight national banks and three savings institutions are located in the county. As reported by the Census Bureau, the county has a total area of 370 square miles (959 km2), of which, 254 square miles (658 km2) of it is land and 116 square miles (301 km2) of it (31.41%) is water.